Here's something people in the U.S. don't see every day. 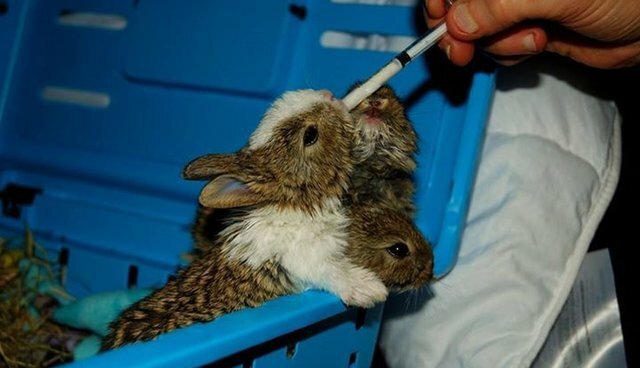 A U.K. wildlife group recently rescued a group of baby bunnies that appear to be hybrids - half wild rabbit, half domestic rabbit and 100 percent adorable. The babies were taken in by The Wildlife Haven Rescue and Rehabilitation Centre - the same people who brought you Otto the otter - after their nest was dug up by a dog. 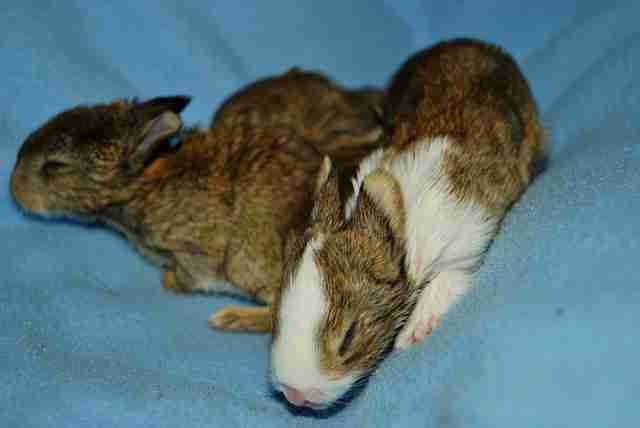 It's impossible for hybrids to occur in the U.S., since pet rabbits are descended from European rabbits and are genetically incompatible with our wild rabbits. 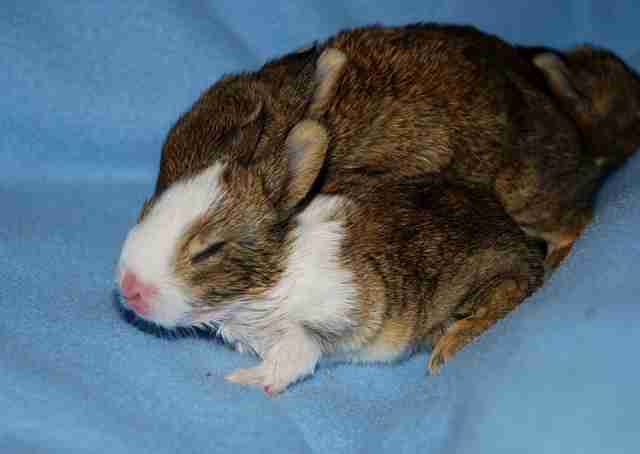 However, every once in a while, a U.K. pet bunny escapes and decides to have a fling. As you can see, the resulting babies are even cuter than usual - if that's possible. 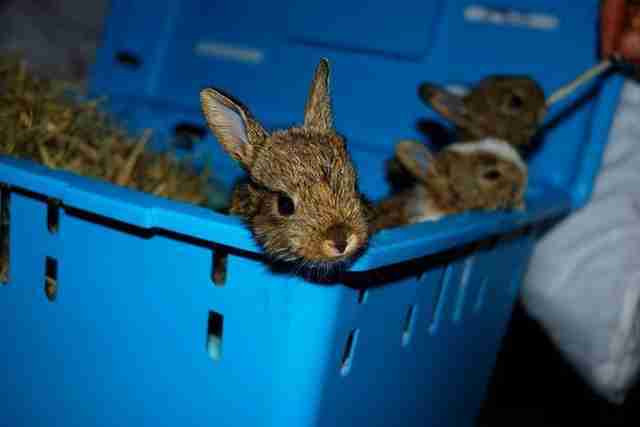 Since wild rabbits are so fragile, they're very difficult to successfully raise to adulthood, but these little guys seem to be doing great. It's unclear whether they'll be kept with humans or released into the wild. Wild rabbits are naturally cautious and aren't easily tamed, but rabbits with white spots aren't great at camouflaging. With spring around the corner, these little guys are a good reminder to keep your dog on a leash. 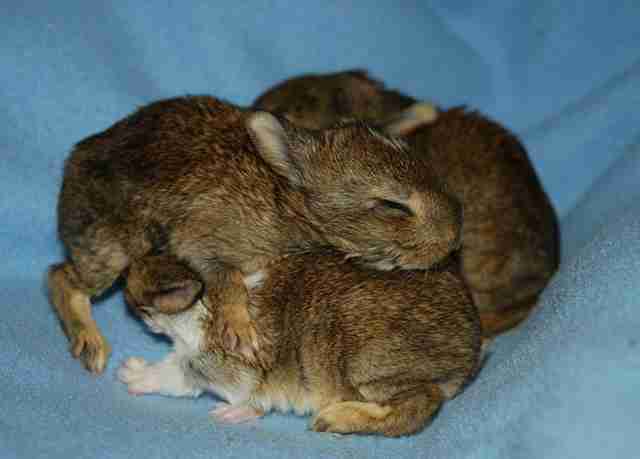 Rabbit mothers only visit their babies twice per day, so it's best to leave nests untouched. 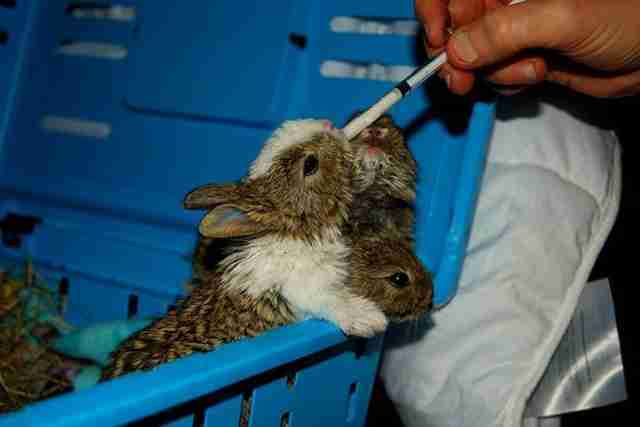 If you have reason to believe the babies are orphaned or in need of aid, contact a local wildlife center.